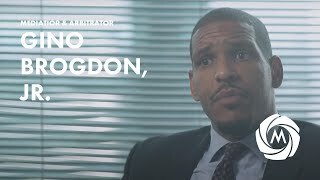 M. Gino Brogdon Jr., Esq. Gino is a trial attorney who brings a variety of civil litigation cases to resolution through The Brogdon Firm, LLC. His passion for justice leads him to try cases all over the State of Georgia. Gino has received many awards since his initial success with The Brogdon Firm including selection as a Super Lawyer Rising Star each year since 2017. Gino was most recently featured as an Attorney to Watch in Atlanta Attorney at Law Magazine. In addition to managing his practice, Gino is a neutral at Miles Mediation, the #1 Alternative Dispute Resolution firm in Georgia. Gino is a member of the National Academy of Distinguished Neutrals. In the September 2017 issue, the Daily Report published Gino’s perspective on successful mediation. Before starting the Brogdon Firm, Gino honed his skills as an associate at The Cochran Firm Atlanta. His diverse professional experiences also include service to the U.S. Attorney’s Office in the Major Crimes division, the Athens-Clarke County Public Defender’s Office, The Barnes Law Group, and as a clerk for the Honorable Steve Jones. Gino has served the legal community via multiple organizations including the executive board for the Gate City Bar Association and the Board of Directors for the Atlanta Bar Association. Gino is committed to continuous learning and is thankful to be an alumnus of LEAD Atlanta, the Georgia Trial Lawyers Association’s LEAD program, and the New Leaders Council. Gino believes that mentorship can be transformational and this passion has inspired him to serve as a mentor with Big Brothers Big Sisters of Metro Atlanta since 2014. 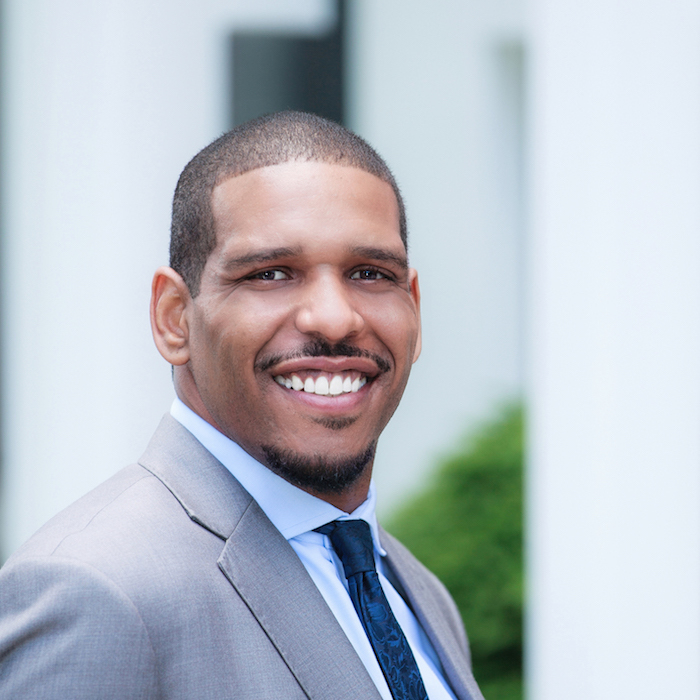 To increase his impact, he joined the Young Leaders Council of BBBSatl where he plays a leadership role that focuses on supporting volunteers along their mentorship journey. An Atlanta native, Gino attended Morehouse College and is a member of Alpha Phi Alpha Fraternity, Inc. He is also a proud Georgia Bulldog who earned his law degree at the University of Georgia, School of Law. Gino was rewarded with membership in the prestigious Joseph Henry Lumpkin American Inn of Court because of his outstanding participation in the moot court and mock trial programs. Over the last two years, Gino continued to support the program as a Barrister and currently serves as a volunteer with the School of Law’s mentoring program.